If you need a determined and aggressive voice to represent you in court or experienced counsel to help you with an employment dispute, Branigan Robertson might be the employment attorney for you. If you were sexually harassed, denied overtime pay, wrongfully terminated, retaliated against, or misclassified, then you need an employment attorney. Mr. Robertson is taking cases in Claremont, Los Angeles, and Orange County. If you were recently “laid-off” from your company and feel the termination was wrongful, the attorneys at Branigan Robertson would like to help. When an adverse employment action is taken against you the statute of limitations begins to run and could jeopardize your whole case if you don’t act quickly. Speak with one of the local employment & labor lawyers in our firm to understand and secure your rights to money damages. Attorney Branigan Robertson has experience handling a wide variety of employment claims and lawsuits. Mr. Robertson brings a unique perspective to his current practice, the representation of unpaid and harassed clients. For the majority of his career, his professional efforts have exclusively focused on representing employees in workplace disputes. At Branigan Robertson, we aggressively protect the rights of employees throughout California. Because of our reputation for honesty and zealous advocacy, many of our clients come to us as referrals from other lawyers. Most law firms that represent employees work on a contingency fee. A contingency fee is where the fee is payable to the law firm only if there is a favorable result. In the law, it is defined as a “fee charged for a lawyer’s services only if the lawsuit is successful or is favorably settled out of court….” Contingency fees are usually calculated as a percentage of the client’s net recovery. According to California law employers are required to provide their employees with one uninterrupted 30 minute lunch break if they work in excess of five hours in a day. If they work more than 10 hours in one day they are entitled to a second meal period of at least 30 minutes. During this break an employee cannot be performing any duties of work and must be permitted to leave the premises, otherwise the meal period time counts at time worked. An employee is also owed two 10 minute uninterrupted rest breaks. The employer must pay you for these breaks. Let us help you with your employment case. Call us or use our online contact form to get in touch with our aggressive employment attorneys. 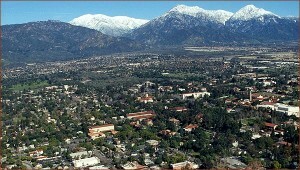 Whether you live in Claremont or Bel Air, we provide services throughout Southern California.